“The global nanotechnology market is expected to grow at a CAGR of around 17% during the forecasted period of 2017-2024”. Depending on the industry, growth for these technologies could be even greater. “Nanoparticle drug delivery addresses one of the prevailing failures of the pharmaceutical industry: of the tens of thousands of drug candidates that the industry churns out each year, the vast majority fail. Many are too poorly soluble to enter the bloodstream, some flush straight through the kidneys, and others fall apart in the body before they can be of any benefit”. Researchers are figuring out how to use nanoparticles to make drugs even more effective by studying how nanoparticles interact with cells, and what toxicity or concentration is most viable. Healthcare R&D in this area is seeing increased spending on nanosized materials and devices. The National Nanotechnology Initiative, a government-funded R&D nano investment vehicle, budgeted $382 million dollars in investments to the National Institute of Health in 2016. This is up from $364 million in funding in 2015. Certain avenues may see big returns. The global nano drug delivery market alone is anticipated to hit $11.9 billion by 2023, up from $4.1 billion in 2014. The following chart outlines patent activity within nanotechnology in biology and medicine sectors in the last 20 years. The chart is comprised of both patent applications and grants. You can see that applications for these technologies really gathered steam in the early and mid-2000s. Looking at this data, it is apparent that the number of nanotechnology patent applications greatly outweighs the number of patents granted. The World Intellectual Property Organization (WIPO) outlines an amalgam of issues challenging patent filing in nanotechnology. They note that emerging technologies in this space make overly broad claims. This is due in part at least to a lack of prior art to benchmark a new patent. WIPO also poses the question of whether the recreation of an existing product at a nanoscale would meet the requirements of “novelty” or “inventive step”. “As of 2013, a few hundred nano-related medical therapies had been approved or had entered clinical trials in the United States”. A closer look at the data shows that most patent applications filed in Japan are filed from foreign entities. This could signal the importance of Japan as a strong market for growing and leveraging these technologies from abroad. 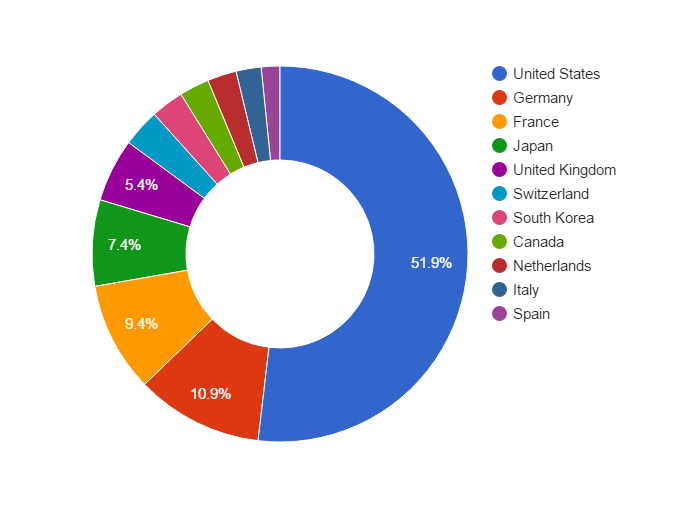 ktMINE data shows that Japanese applicants are filing largely in the WIPO, US, and EU markets, with some minor activity in Canada and South Korea. But where is China on this? Out of over 49,000 patents and patent applications, Chinese entities own fewer than 1% of bionanotechnology applications and grants. It could be that China is focusing their current nanoscience efforts in the electronics and semiconductor space. But this data suggests China will face limitations to advance innovation in bionanotechnology applications. Judging by the applicant countries of emerging nanotechnologies, we can continue to expect aggressive innovation from the above countries. However, whether or not China is planning to enter the fray has yet to be seen. They are certainly far behind in bionanotechnologies. In an area with a death of granted patents, it is crucial for large patenting venues to compare and determine the patentability of nanotechnologies moving forward. 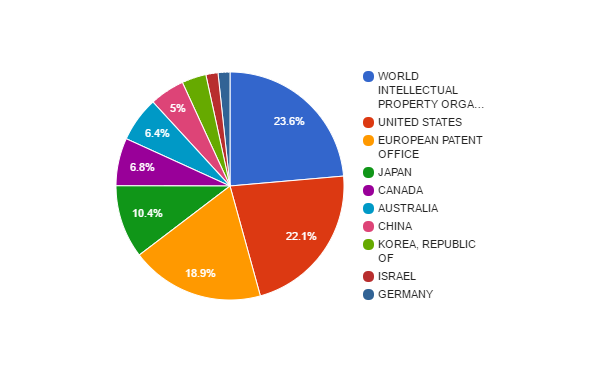 Patent attorneys, analysts, and other future applicants should keep tabs on any newly granted patents from WIPO, the United States, and other large patenting venues. Bionanotechnology inventions will not only involve emerging methods of drug delivery, medical products, pharmaceuticals, but also the tools with which scientists study and even manufacture items at a nanoscale. It is not a question of if, but when, will bionanotechnologies disrupt a long-established industry with billions of dollars on the line. As ktMINE’s lead research analyst, Megan Rourke analyzes intellectual property and licensing data sets to uncover market trends and company innovations. Megan uses this knowledge to provide ktMINE users with actionable insights based on the most up-to-date intellectual property data. As she interacts with these data sets on a daily basis, she knows the in’s and out’s of all things licensing and IP related. Megan has been cited in Intellectual Asset Management (IAM) and co-authored a report distributed by AutoHarvest.